Jobs Description: Visit our site to check the World Health Organization Jobs December 2018. 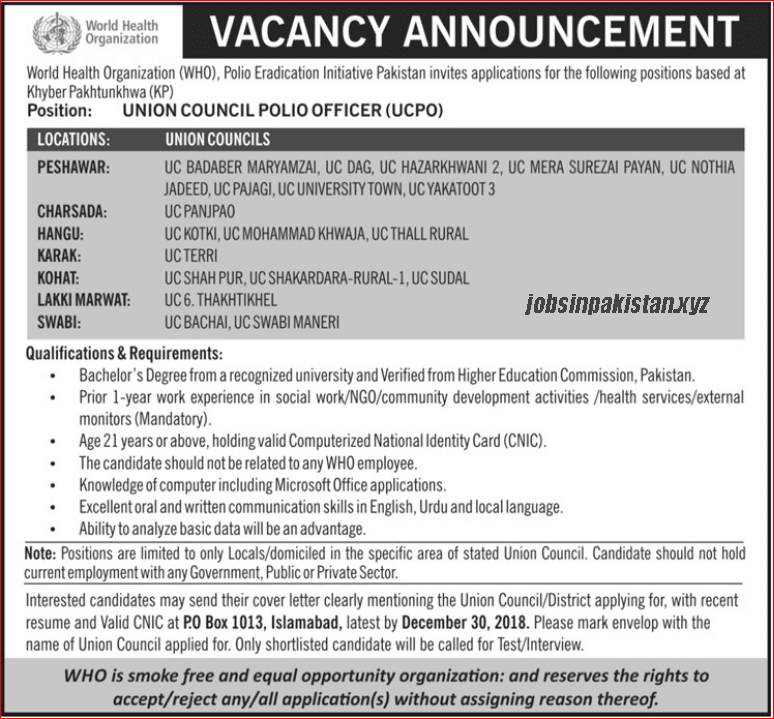 World Health Organization, Polio Eradication Pakistan recently announced an advertisement for Jobs at Khyber Pakhtunkhwa Tribals Districts. 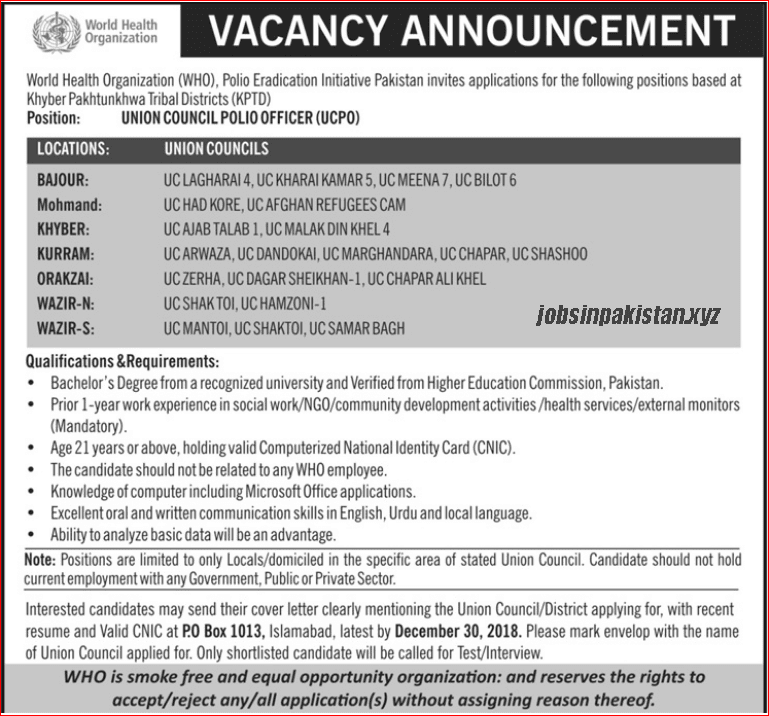 World Health Organization has required the applications for following jobs. How To Apply: The interested candidates may send their applications to P.O Box 1013, Islamabad.